Want to rub shoulders with acrobatic primates in the steaming jungles of Madagascar? Race beside fearsome hunting lions in the remote sandy deserts of Namibia? Face stormy Antarctic seas with a family of penguins? Feel the raw tension as a baby iguana tries to escape the clutches of deadly racer snakes? 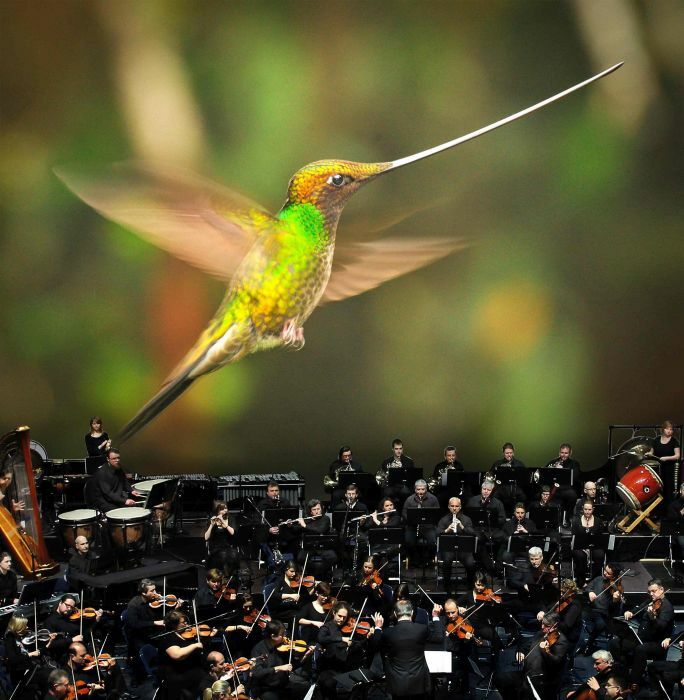 Planet Earth II Live in Concert was narrated live by Australian actor Eric Bana and featured breath-taking footage from the acclaimed BBC Earth series (presented by Sir David Attenborough) projected on a giant screen behind the Sydney Symphony Orchestra performing the score by Hans Zimmer, Jacob Shea and Jasha Klebe live with conductor Vanessa Scammell. Unlike previous screenings of films with live performances of their music scores I have attended in the Opera House Concert Hall, the cavernous venue of the International Convention Centre Theatre at Darling Harbour allowed the orchestra to visually meld with the images projected on the wall behind it. With skilful lighting design that highlighted the orchestra in matching hues, the antics of primates in the jungles of Madagascar and drama of the natural world of field mice dodging predators diving from the sky were heightened.